These days everything tends to be natural-oriented, but to find the ones that smell great and work effectively are a different story. 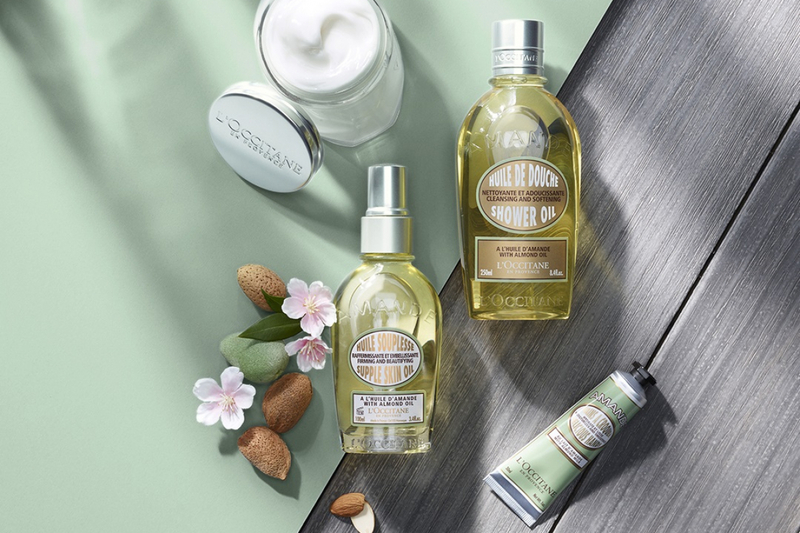 Based in South of France, Provence, L’Occitane uses natural ingredients since its founder Olivier Baussan created the brand. The first ingredient that L’Occitane processed was the rosemary essential oil. From oil, Baussan expanded his production to soaps and creams and sold it locally—and eventually across the world. Now, L’Occitane is known for its natural skincare, which a quarter of its products are organic certified by Ecocert Fair Trade Certification and continually working in partnership with International Union for Conservation of Nature (IUCN) since 2016 to further committed in sustainability and ethical sourcing. The beauty brand opens up their list of ingredients in each of its product information. Also visit: 11 coolest haircuts of Hollywood’s it girls! One of the signature ingredients that became the epitome of their sustainable and ethical sourcing is Shea Butter from Burkina Faso. Since 1989, L’Occitane has been working with women from Burkina Faso–who made their income through producing shea butter–an ideal beauty ingredient for the skin. United Nations Development Programme (UNDP) has recognized L’Occitane as an exemplary company for its actions in Burkina Faso, within the framework of its 2013, “Growing Inclusive Markets” initiative. Hair is your crown, and to preserve the beauty of it, essential oils are one of the best natural sources for it. L’Occitane creates a new range of hair care which includes Aromachologie Olivier Nourishing Shampoo, Repairing Conditioner, and Nourishing Mask. They are made of five essential oils; angelica, lavender, geranium, ylang-ylang, and patchouli, plus oat amino, acid, sunflower oil and provitamin B5 to work together in synergy to help repair, stimulate, and soften dry and damaged hair. It’s a hair care range for the ones who do a lot of color treat, permanent wave, and more styling service and products. With the ultra-rich eye formula of organic Immortelle essential oil, a complex liquid of nutritious plant-derived active ingredients, it works to help your eye area stay firm and radiant. It also helps smoothen your skin and reduce dark-circles. You know what they say, your eyes are the first ones anyone sees, so you better make them pretty! Take care your hand with L’Occitane’s best-seller hand cream, Shea Butter Hand Cream that sold every three seconds. With formula of honey, almond extracts, and coconut oil, it will help make your hands feel supple and smooth like baby. First of all, the smell is amazing. Second, it makes your skin firmer and smoother, thanks to the ideal combination of almond oil and camelina oil which are rich in omegas 3 and 6. Plus, the lightweight oil absorbed to your skin super-fast, so you won’t get overwhelmed with that greasy feeling. It’s addictive.